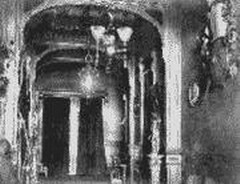 Ghost Story: Reputedly a SMALL CHILD, WITH A SOLDIER whom we assume to be Baron Cederstrom, has been seen standing at the bottom of the stairs where Adelina fell - presumably the hall (shown left in Patti's time). The staircase is no longer here. The fall made Adelina bed-ridden whereupon she contracted pneumonia and died. However it is not clear which staircase she fell down (either the main one remaining on first floor, or one no longer in situ, from first floor to ground floor). This was said to have a bad energy and was 'very active'. However this was apparently Patti's favourite room. The door into the conservatory was once described as especially 'sinister' by early ghost hunters. This was in the days when the door was kept locked, and cold air would blow through the keyhole from the derelict unrestored Conservatory room beyond. Since the Conservatory was restored (2007), and is now a warm under-floor heated Wedding Banqueting Room, this door seems to have qute lost its sinister aura. It now opens into the huge fully restored Conservatory. How many other cold draughts in the castle emanting from gaps in the masonry, or broken windows, in the derelict upper levels, may owe their sinister cold air drops to natural rather than unnatural forces? 7. Why are Children Crying in the Conservatory? 10. Whatever happened to Nicolini’s £10m Orchestrion? 11. Why is the Lady riding a Chariot on the Stage Curtain in the Opera House? 12. Does Craig y Nos Castle have a room 13, and is it haunted? You recently enquired about our Ghost Tours and so as long as you wish to receive them, I’ll be sending you a regular fortnightly update on ghostly goings on at the Castle. 2.	create your own group of ten or more ghost hunters to go on a Share the Experience Tour – see more here. The Share the Experience Tour includes a 3-hour ghost hunt and various experiments, seances, table tipping etc. 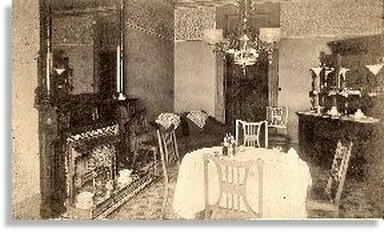 You have a two course evening meal before the ghost hunt, stay overnight in our budget B&B Nurses Quarters and the next day, sit down to a full cooked breakfast to discuss the previous night’s goings on. Finish off with a 1 – 2 hour Castle History Tour on the morning of departure. To book your own private group tour, you’ll need to gather together at least 10 people to go on the tour. Your party can book their accommodation with the castle direct, paying £65 D, B&B each, based on two sharing, and they then pay the ghost tour company, Paranormal World, £12/head on arrival. Or you can book the accommodation for your group in your own name (but then you are liable for any no-shows, so often it is best to let individuals book their own rooms). You can add a second night B&B for £30 B&B per person (£60/ room in Nurses Quarters rooms), subject to B&B availability here. Couples sharing a room may upgrade to the en-suites if preferred, subject to availability. A couple of weeks ago we looked at the Share the Experience Tour where you can arrange your own group of ten people to go on a private ghost tour. 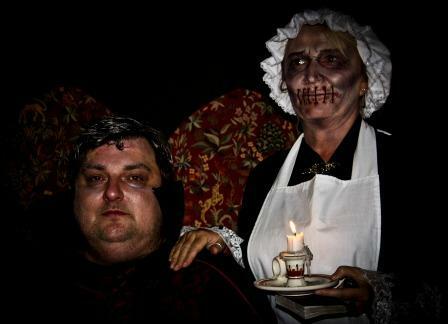 Below is a picture taken from a special Fright Night Event - Fright Nights are now only bookable by large group events due to the need for about ten 'ghostly actors'! I just thought you would like the picture! If you cannot get 10 people together or organise your own special haunted event, and would still like to go on a Ghost Tour, then a popular alternative is our once monthly castle organised G.H.O.S.T. tour. •	B&B in an en-suite, based on two sharing. Twin bedded en-suites/ family rooms available. •	One-hour History Tour on the morning of departure. •	When asked, Steve Graham or one of his team will regale you with ghostly tales in our Haunted Bar or the main Patti Bar, late at night. Below - a G.H.O.S.T. tour seance and card reading. There is only one G.H.O.S.T. a month. They mostly sell out up to the limit of 16 per tour. We do not offer many G.H.O.S.T.s in the Summer season, mainly Autumn, Winter and Spring. This is when the evenings become shorter and the nights longer and darker, when there is a chill in the air, and the nights are more ‘active’. See G.H.O.S.T. tours availability here. That said, a guest when I was writing this letter, described how Adelina Patti had sung to her during a sleepless night, in her high and clear voice. 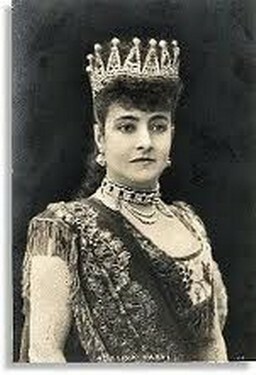 See more on Adelina Patti here on Wikipedia and more on Craig y Nos Castle also on Wikipedia here, including hauntings. Last time I wrote to you about our G.H.O.S.T. once a month special Ghost Tours which you can join as an individual or as a couple, to save having to organise a group of ten for your own private ghost tour. 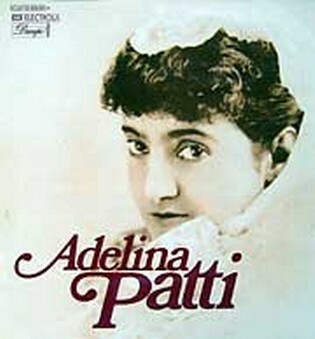 I also mentioned Adelina Patti whose career as a world famous opera singer is mentioned on Wikipedia here. I also mentioned how a guest staying in July 2018 had heard Patti singing to her, during a long and sleepless night. The circumstances of this guest’s stay indicate that Patti may indeed be watching over us, and some of our more special guests, even now. For I did not mention that this lady was staying with her husband, who had been told he had only a short while to live. Visiting Craig y Nos was on his bucket list, and he chose to stay here for a few days. While she lay awake saddened at the circumstances of her stay, Patti sung to her, to calm and soothe her. She kept hearing a clear singing voice soothing her, all night. Patti has put in an appearance on a number of occasions. Once a girl was due to sing on the Stage in the opera house, at a public concert performance many years ago, long before I moved into the Castle. She was nervous as she waited in the wings for her turn to perform, but was reassured by a lady dressed in black, who calmed her and told her she was going to sing the best performance of her life and that everything would be wonderful. After she had indeed given her best on Stage, to rapturous applause she went backstage to thank the lady in black. But no one had seen her; no one knew of any lady in black in the cast, backstage. Read more on this ghost story and others here. On another occasion, since I have been at the Castle, a drummer in a band had a long conversation with a lady in black in the Patti Bar (they were seated by the fire - see pic on left in link). This was in the days when we had a small Jazz Evening once a week in the old Blue Bar, in the cellars. The band and guests had come up to the main Patti Bar, and while the band members went to the bar to get in some drinks, the drummer sat down in a leather Queen Anne chair by the fire. Opposite him, a lady in black engaged him in conversation. “Do you sing?” she asked, “No” replied the drummer, “I just play instruments.” “A shame” replied the lady in black. On their return from the bar, his fellow band members asked who he was talking to. “The lady opposite,” responded the Drummer. But no one was there. The chair was empty, and had been all the time. Read more on a fire-side chat with Patti here. Last time I wrote to you, I mentioned how Adelina Patti could somehow still be watching over us, and making her presence discreetly, tantalisingly, known, yet unproveable nevertheless. In the fireside chat, a drummer was engaged in conversation by an interested lady in black, wondering whether he sang. I was prompted to start this series of Ghostly letters on stories involving Adelina Patti’s presence at Craig y Nos, by a guest to whom Patti sung one warm summer’s night in July 2018. So, continuing with the theme of Adelina Patti’s presence at Craig y Nos, let’s start with the first time we all became aware ‘something’ was going on. Back in 2004 we were approached by Living TV’s Most Haunted, where the celebrated ‘medium’ Derek Acorah (a former footballer who had diversified magnificently) and Yvette Fielding would expertly yet mysteriously unravel a building’s history through their encounters with spirit. Only thus did they find out about the history of the Castle, which we all know they absolutely did not look up in advance. No doubt they also had no idea where the ‘Living TV’ Company was sending them to investigate. Sure enough, Adelina Patti and the compose she so admired, Rossini, duly made themselves heard (to Derek) if not seen, in the Theatre. Rossini conversed with Derek on camera. What is less well known, is where and when Adelina Patti really did put in an appearance, that day. For also on Most Haunted, we were routinely treated to the fascinating history of each place investigated, by historian Richard Felix. Leaving Derek and Yvette to discover the history through the Spirits, Richard Felix’s job was to research and report on the intriguing past of the buildings investigated by the Most Haunted team. Though he runs tours in Derby to this day, he was most assuredly NOT one of the Mediums, and not someone who would routinely investigate or attempt to communicate with the other side. Significant then, that perhaps for authenticity, Patti chose Richard Felix to surprise off-camera, and not one of the TV program’s ‘mediums’. Richard Felix has since described Craig y Nos Castle as one of the scariest places he has ever stayed in. Read more on the story of his encounter with the lady in Black in Room 36 here. In my last update I referred to Adelina Patti’s appearance in Room 36, while Richard Felix was staying with the Most Haunted crew. This was in 2004 and while some people have chosen to sleep in room 36 in the hope of a repeat occurrence, aside from a few creaks and sounds, rattling of doors and windows (frequently reported) nothing noticeably Adelina Patti related has occurred. Adelina Patti bought the castle in 1878, for £3,500, and though she did once try to sell it, she lived here until she died in 1919, so she lived here on and off for 41 years. Much of this time she was touring the World, performing in Europe and America, but she was always happy to return to her ‘Home Sweet Home’. Edward VII visited the castle when he was Prince of Wales, possibly more than once. One story relates to a time when his train was delayed and the party arrived late at night. The servants awoke to the sound of unknown visitors and Madam Patti shooed them back to bed before receiving her guests personally. On the following day, the staff saw the Prince and realised why their Lady was not abed on the previous night. Read this and other Patti stories here. 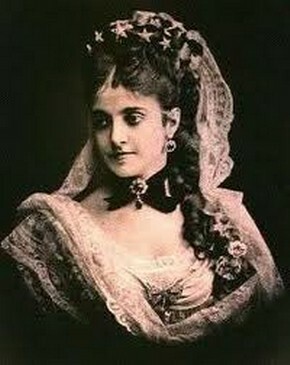 Adelina Patti was married three times. Like Henry VIII who had six wives, Patti had 3 husbands: divorced – died – survived. The love of her life was Husband 2, Nicolini. Before they married, Nicolini was playing Romeo to her Juliet. Then husband No: 1 (the Marquis de Caux), watching the performance, observed his wife kissing her Romeo 14 times more than stipulated in the Libretto. Suspecting something was up, Caux split from Patti though it took a while for them to officially get separated. In the interim, Patti bought and moved to the Castle with her lover, Nicolini. We now know this was some years before she divorced her first husband. Patti was Catholic and divorce was not permitted. Unlike Henry VIII, who had to change the religion of the country to secure his divorce, Patti – as a world-famous Opera Diva – knew the Pope personally, and so the Pope allowed that her first marriage could be annulled. See more on Adelina Patti here. There remains one original staircase which dates back to the Adelina Patti era, never removed in the century since she died in 1919, despite the Castle being gutted and remodelled as a TB Hospital for 40 years, and then a Hospice for another 20 years. The old staircase gently ascends, with wide, shallow steps, from the first-floor landing to the second floor, abruptly finishing at a 1930’s Hospital era wall, behind which there is an old lift shaft. 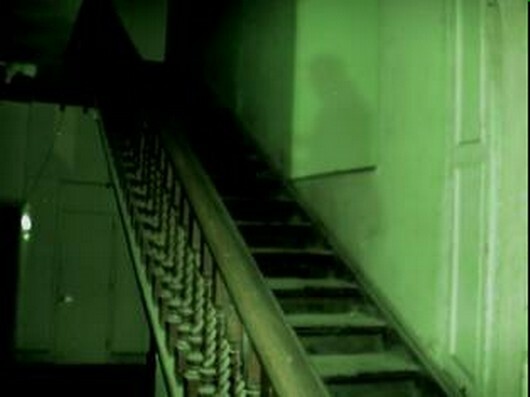 Ghost Hunters have regularly found this staircase ‘highly active’, with many a shadowy image caught on camera, though others argue the images are just shadows. Aware of this, during a Franchise conference for our then main business (a national cleaning agency), I took a few of the franchisees up to the derelict area for an impromptu look-see, one dark winter’s evening. Unlike our ghost hunters, I personally was not anticipating anything paranormal. Purely for my own amusement, I warned the assembled franchisees how ‘active’ the staircase was. I advised ‘for health and safety reasons’ that if for any reason, the dog (Jack) stopped on said staircase, no one must panic or move. I impressed upon them how Jack the Dog was sensitive to spirit and to stay still. This was I confess, untrue, I made it up - but my franchisees did not know this. Impressed and sobered by my warnings, my franchisees followed me on a tour of the derelict upper levels. We made it all the way to State Room 2 (shown on this link much as it is now) without incident. But on the way down the long staircase from the top floor, Jack the dog stopped. He stopped and did not move, rooted to the spot. Jack had stopped half way down the staircase, by the window, the exact spot where an image, several orbs, and numerous indeterminate shadows have been duly caught on ghost hunters’ cameras. Jack’s hackles were raised. This I have never seen before or since, for golden retrievers have thick fur, are good natured, and ‘raising hackles’ is not something they really do. Refusing to descend, Jack growled aggressively, then barked, all the while remaining half stood, half sat, stock-still on the staircase. The franchisees, crowding behind me and in the middle of their descent, stopped dead in their tracks. The other-worldly tension and surprise which we all felt, myself included, made for an unforgettable moment. After a long few seconds of this, I told Jack to ‘go on down’, and the moment passed. What made Jack the dog stop dead on the ‘haunted staircase’? I have always wondered about this since. It has never happened before or since. So why did it happen after my mischievous attempt to worry the franchisees? Jack is just a dog. He has no ability to understand what we humans were talking about in the bar. He cannot respond to ‘suggestion’. So, what had he responded to? Had some other worldly presence listened to me tell my little story to the franchisees, and decided to give us all a surprise? Or had the story so impressed the franchisees, that the dog picked up on their concern going down that staircase? This is certainly a curious incident, one of many you can either dismiss as coincidence, or puzzle over as something quite out of the ‘ordinary’. Read more about the haunted staircase here. Last time I wrote, we talked about Jack the Dog’s experience on the Haunted Staircase and I mentioned that the Castle had been a TB hospital from Patti’s death to the late-1950’s, when TB was eventually cured with Streptomycin and other antibiotics. Read more on the history of and cure for TB here. There were two children’s TB wards at the Castle – State Room 2 and the Conservatory. We only have one rather grainy picture of the conservatory with its 18 children-sized iron beds. The children were wrapped up in plaster body casts to prevent them moving, for many months or even years at a time. Imagine not being able to move out of your bed, or even turn over in your bed, for months or years! Bed rest and immobility were considered part of the care needed, as was fresh air. Patients were wheeled on to the terraces in all weathers for the fresh mountain air so beloved by Adelina Patti for her singing voice. Out they went, come sun, rain or even snow. In winter, rubber blankets were placed over the beds to keep them dry. 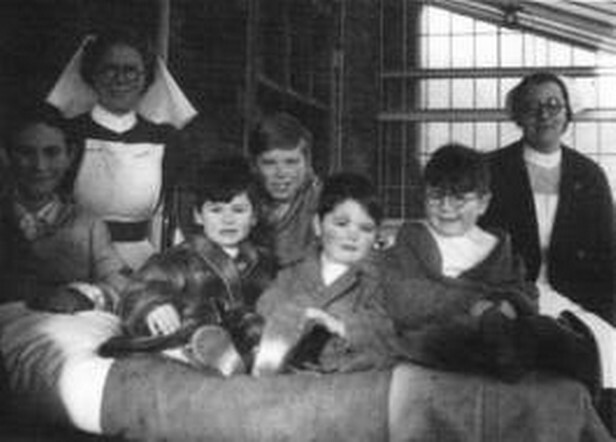 Richard Felix of Most Haunted rather poignantly suggested patients were left out on the terraces overnight, and in the mornings, “the live ones were brought in, and the dead were wheeled off to the morgue” (now, aptly numbered en-suite room 13). Back in 2002/3 we were not fully up on the history of the Conservatory, so it was interesting when another early ghost tour group – investigators led by Bill Harrison - picked up on the sounds of children crying in the then derelict conservatory. Craig y Nos Castle’s Conservatory is a far happier place now. None of the children then would have envisaged their ward becoming one of the most popular and romantic Wedding Reception rooms in Wales, on account of the beautiful mountain scenery. Read more on the Ghosts in the Children’s ward here. In my last letter I concluded with the story of how the Conservatory was a Children’s TB ward in the hospital era. Before the castle became a TB Hospital, Patti’s Conservatory was one of her sitting rooms – a huge glass-roofed ‘conservatory’ all for her own private use. When the world-famous opera diva Adelina Patti died, in 1919, her private theatre was locked up and has never really been used as an opera house since. It is too small to run commercial opera performances, seating a maximum of 150 people; it was only ever intended for her special invited guests. In the Hospital era, the opera house was sometimes used as a TV room for patients and also unofficially, the stage and cellars became a play area for the children (those not confined to their beds in plaster body casts). 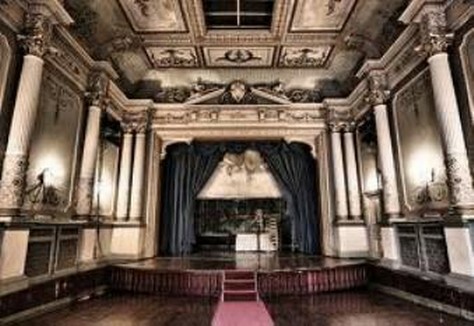 On a few occasions ghost hunters have picked up on the sound or presence of children playing in the opera house. In particular they have heard a bouncing ball and children’ laughter. This phenomenon has been experienced by ghost hunters and non-ghost hunters alike. Of course, once one lot of ghost hunters becomes aware of something, word spreads, and other ghost hunters, hearing the same story, will look out for and maybe even hear the same sounds. This is ‘suggestion’ and is less convincing. What is more interesting is when someone, or a group of people, who are not subject to any advance information or suggestion, has or have a corroborative experience. This occurred when a group of overflow B&B guests were, as a once off, invited to sleep rough, down in the theatre cellars, one New Year’s Eve. We’d bought some army camp beds some time earlier and planned to put overflow guests in an army tent we’d hired for £300. This was before we built all the new en-suites. When this ugly green flappy thing with numerous ropes arrived, we realised not only was it an eyesore, it was also too small for the 50 guests we’d planned to summer-camp in there. The unused folding army camp beds we kept, and we later used them in the then empty cellar. This was on a busy New Year’s Eve, as there was not enough space in the rooms. We maybe put 20 people down there – a sort of dormitory, and some in the theatre too. Though completely independent of the ghost hunting community, these New Year’s Eve B&B Guests also heard the sound of a bouncing ball, children laughing and running about. They additionally heard the sound of a stick being dragged along the radiators, just as children might have done in the past. There were of course no Children on the premises – our annual New Year’s Eve Party tends to be for adults; it is not a family event as such. And yet the sounds of children laughing and playing were clearly heard in the theatre cellars that night. Read more on the ghostly happenings in the theatre cellars here. Little has been said of the Castle’s first owner, Captain Rice Powell (Craig y Nos 1842-1876) without whom Craig y Nos Castle would never have existed. But for Captain Powell, there never would have been a house in the Upper Swansea Valley to capture the attention of a world famous opera diva, Adelina Patti. Patti was a world-famous opera diva, and the highest paid opera star of her day and we now know was seeking somewhere to live discreetly with her lover and second husband to be – Nicolini. Patti wanted somewhere remote and inaccessible, away from the prying eyes of her fans and society. Patti commanded £1,000 a performance, around £500,000 in todays money, and could do two performances a day – earning a cool £1m a day at her peak, in today’s money. Little wonder that Patti’s greatness has rather overshadowed the man who made Craig y Nos possible. Yet Captain Rice Powell was a wealthy man in his own right, with vision, able to build a large manor house in the hills overlooking the River Tawe. Patti extended it and made it ‘a castle’. The area would have been truly wild and remote back then, peaceful too, with lovely clear air and the cool waters of the River Tawe below. There was no road to the house, for this was the age of rail. The Brecon Railway line passed above and there was a station at Penwyllt but no road to the castle at the time. Patti built the road to Penwyllt later, so her coach and horses could collect her from her private train carriage arriving at Penwyllt - where she had her own private waiting room built, just for her use. We believe the only route to the castle in Captain Powell’s day was a path following on from a canal towpath. As the canal stopped two miles south at or a bit beyond Abercrave, a coach and horses presumably carried on up the track, climbing gently up the valley through Penycae. So we have Captain Powell to thank for creating his neo-gothic mansion at Cae Bryn Melin Bach. Read more about Captain Powell and the house he built in 1843 on a site above the river and close to his father's former home. In this series of letters, we have visited Craig y Nos Castle’s past, to help us to understand the spiritual presence that remains in the context of the castle’s history. The Castle’s most prominent owner was Adelina Patti, a world famous opera singer able to command fees of up to £1m a day in todays money. Patti was the highest paid opera singer of her day, the ‘Madonna’ of her age. We know she moved to Craig y Nos Castle to live quietly and in peace, with her then lover and future second husband, Nicolini. Nicolini was Patti’s Romeo, both in the Opera, where he performed alongside Patti as she reprised the role of Juliet, and in real life Nicolini was the love Patti’s life, the one husband (of three) that she married for love. Like Patti, Nicolini had a great love of music, and married to the world’s wealthiest singer, he was able to indulge in a few toys of his own. The grandest of these was Nicolini’s Orchestrion. We have no idea what it would be worth today, probably anything from £1m to £10m, who knows? We can only imagine what this must have cost in Patti’s day. Just look at the craftsmanship of this immense Orchestrion, the largest ever built, here. Take a small musical box, with a cylinder and wind it up and you play one tune on it. Now take the same concept, and make it thousands of times bigger, with everything that would go into a full orchestra. Multiple cylinders which could be changed, 146 organ pipes, cymbals, drums, two storeys high and as wide as the average terraced house. Handcrafted, nothing like it ever built before or since, entirely created to Patti’s personal specification. How valuable would such a creation be today? Sadly, we shall never know. 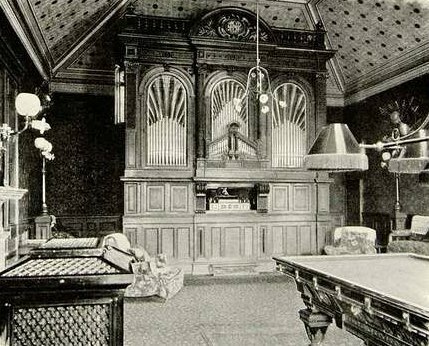 After some research we found the Orchestrion had found its way to a scout camp on the Isle of Man, where it was first flooded, then it caught fire, and finally it was chopped up for firewood and burnt in the campsite's furnace. Read more on the rise and fall of Nicolini’s pride and joy, the Orchestrion, here. After our series on Adelina Patti, we all know Adelina Patti bought Craig y Nos Castle, massively extending it and spending £100,000 over the 40 years she lived at the Castle (cira £50 million in today’s money). She built her own private opera house, created castellations on one of her extensions – the Northern Wing - and renamed the house, Craig y Nos Castle. Craig y Nos Castle is not of course a castle, in the proper sense of the world. Traditional defensive castles stopped being built after the English Civil War ended in 1651. The majority of castles built since were created by the newly monied Victorians, the nouveau riche of the day. These ‘nouveau riche’ Victorians built follies, towers and fallen down ‘sham castles’ on their new estates. This was to suggest to visitors that they were actually established landed gentry whose family had owned the estate for centuries. But why did Patti present herself as a lady warrior astride a chariot, riding as if to war? Looking at the picture of Adelina Patti riding a chariot I am reminded of Boadicea the warrior queen. However, there is a different story to Patti’s portrayal of herself in her chariot, and the clue is in the top billing given to Rossini, his name given centre billing in the Proscenium above the stage. For Patti had great respect and admiration for Rossini – so much so, that she insisted on being buried next to Rossini in Paris. Rossini, however, was initially not so impressed with Patti, though he was to change his mind. Maybe Rossini initially saw Adelina Patti as a ‘popular singer’, rather than as a professional. This changed when Adelina played the role of Semiramide, in Rossini’s last Italian opera, an opera written by Rossini for his wife and described as “the most beautiful, the most imaginative, possibly the most complete; but also, irremediably, the last”. Semiramide was also one of his more complex operas, requiring great skill to perform. Perhaps Patti is signalling to Rossini, here I am, ‘a professional’ performing with great skill, as your opera demands. Patti must have liked the opera, choosing it for a farewell performance in 1882 which was attended by Oscar Wilde. Read more about Rossini and Patti here. Until recently there was Room 12, and empty roof-leaking lean to, and then a passage adjacent to a boiler room, and then room 14. As I write this letter (July 2018) there is now a Room 13. It has just been finished and has had its first occupants. Room 13 is an apt name for this room, as it was (part of) the former Mortuary in the Hospital era. The actual mortuary went beyond Room 13 to a flat roofed extension next to the grassy area beside the Nurses Quarters. This had been dismantled by 2000, leaving only the lean to that is now room 13. The first three guests have not reported anything untoward, and we have not told them they were sleeping in a former mortuary. Also they may not even know it is room 13, since we have run out of ‘1’s for the signs, and cannot really name it just ‘3’. Steve Graham of the Paranormal World, however, had a taster of things to come, see his full blog here. “… We bid everyone good evening and I reminded them if they had any problems that I was staying in room 14 and to come and knock and I would be happy to help. Room 14 is a courtyard room …. I could hear the girls in room 15 laughing and giggling and having a good time. About 2am everything was quiet and …. I nodded off…. I woke again at 3.50am, to the sound of the wind howling and heavy rain. As the castle builders are finishing off putting a roof on a new room right next door to 14, the plastic sheeting was making a racket, so I thought to myself I'll go have a cigarette. ….About 4.10/4.15 I went to the car and jumped in and had a cigarette.. (then) headed back to the room 14. As I went under the big green arch turning slightly to my right, I saw what I thought was a woman wearing a grey dress with a white apron. She was side on to me. She walked towards the little green doors that lead to the nurses block. I hesitated for a second then walked towards were she was. I looked up to the little green doors but there was no one there. I walked as far as the little green doors - there was no one outside. Every hair on my body was standing up with excitement / fear call it what you will. I headed back to my room which is only 5 feet from where I’d first seen this woman and I noticed there is a door which would lead into the bathroom and shower IN MY ROOM - if it wasn't blocked up. I go into the bathroom and look… nothing seemed out of place. I went back outside the room and sat on a summer seat looking toward the little green doors till around 05.15. By this point the wind had died down a bit and the rain wasn't as heavy. With every bang or loud noise I heard I was back outside seeing where it came from or what it could be. …. I have never experienced anything in that area in all the time I have been at Craig y Nos – 15 years now. The room created out of a former derelict area between Room 12 and 14, is now AB13. Room 13 was part of the Mortuary in the hospital era. There is a door-way leading from the yard outside AB13 into what is now AB14’s bathroom. The original door is retained for Grade II listed building requirements but is walled off behind. Steve’s apparition may have been a nurse who would have gone through this door – maybe it led to a store room at the time. We do not know what AB14 was used for. It is possible the work being done in what will become AB13 has stirred up some ‘activity’ in this area but we have not told anyone about this room, until now. We feel it’s best the average B&B guest does not know its history. Ghost Hunters, however, may wish to check this room out. It’s a family room, so you can tell the kids a nice bed time story too….